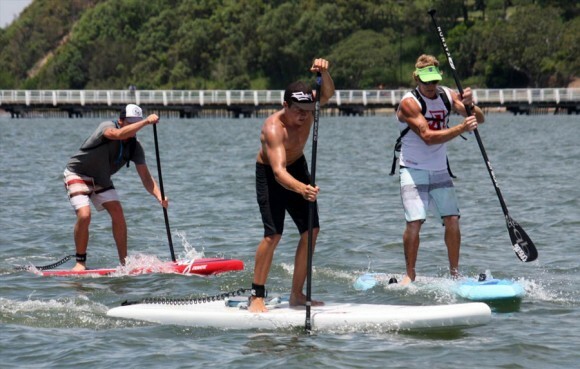 Results from the SUP Australia Queensland Titles race held in Brisbane today. The race was set to be a 10-15km downwinder, but due to conditions the course ended up being 4.8k. So it was pretty much a sprint the whole way between the top three. In the end it was young Naish teamrider Jake Jensen who got the win and snatched the $1,000 first place prize from fellow Gold Coasters Kelly Margetts and Dylan Magee. Alison Fullagar made it a clean sweep for the Gold Coast, coming home first in the women’s race.